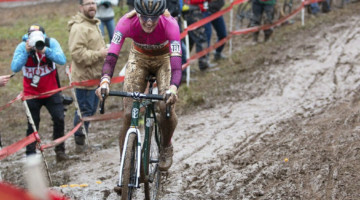 Trying cyclocross for the first time can be an exhilarating—and sometimes addicting—experience. “Just 30 minutes, how hard can it be?” you ask yourself. Then the whistle blows and your lungs and legs are yelling at you by the end of the holeshot. Maybe you fall down a time or ten. And when it’s over, hopefully you cannot wait to do it again. 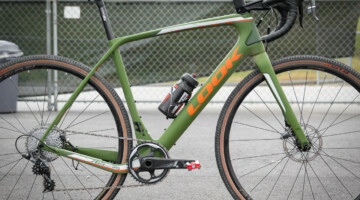 Trying cyclocross for the first time can also be expensive and maybe even cost prohibitive. A local race typically runs $25-30, and then you have to cover the one-day USAC license and maybe even a late registration fee. It adds up to a lot of money for just 30 minutes of racing. 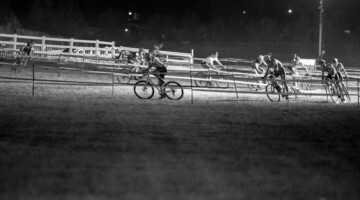 The barriers to entry into the sport are something that has been a topic of conversation among Cyclocross Magazine staff recently. The issue of the cost of trying out the sport crystallized for us at the end of the summer thanks to the confluence of several events. 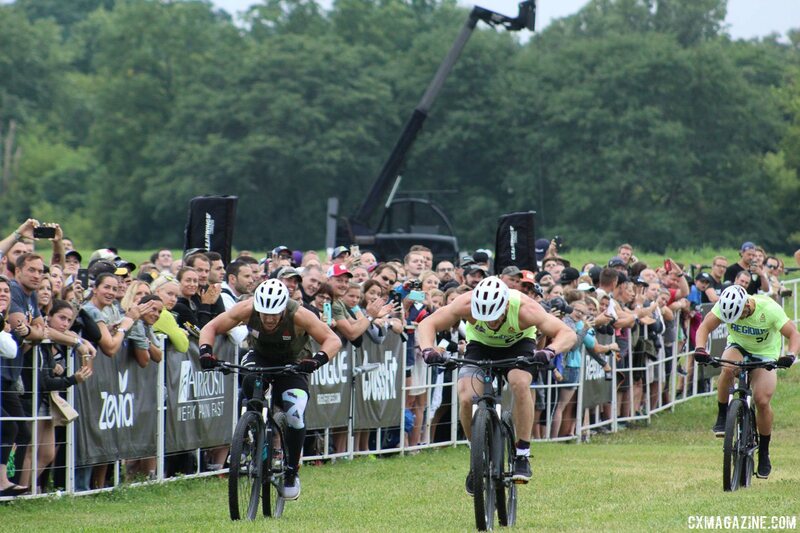 First, there was cyclocross at the CrossFit Games. 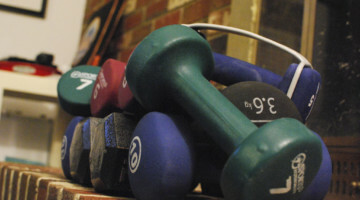 Why is CrossFit so popular? Certainly a good question, but it cannot hurt that if you want to do CrossFit, you go to a CrossFit box and join. As Helen Wyman would say, simples. 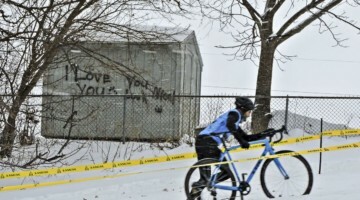 If you want to try cyclocross, where do you go? 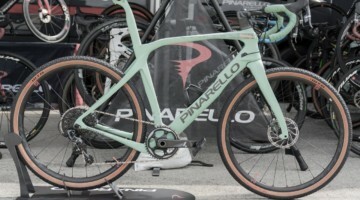 Maybe you are well connected to the cycling scene and can find a practice, but probably the best place is a race. 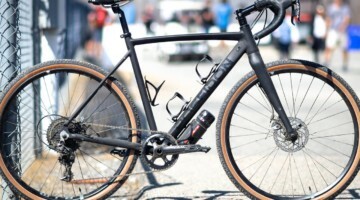 Whether you find out about it via the USA Cycling website, friends or a Facebook event, a race is a scheduled, physical place you can go to try the sport. The way the traditional fee structure is organized, racing even one time is expensive, but does it really have to be? Earlier this summer, Cyclocross Magazine founder Andrew Yee tried BMX for the first time with his son. The local track offered a special deal: $10 for your first day of racing and an introductory clinic. $10 a person is roughly the cost of a movie or a drink or two during a night out. In other words, why would you not try BMX for $10? This contrasts with my first experience of not trying cyclocross. I got invited to try racing at a local race. 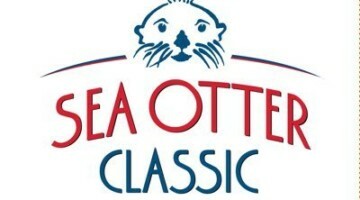 Race entry was $25, the one-day license $10 and the late registration fee $10. $45 for 30 minutes. I stayed home. 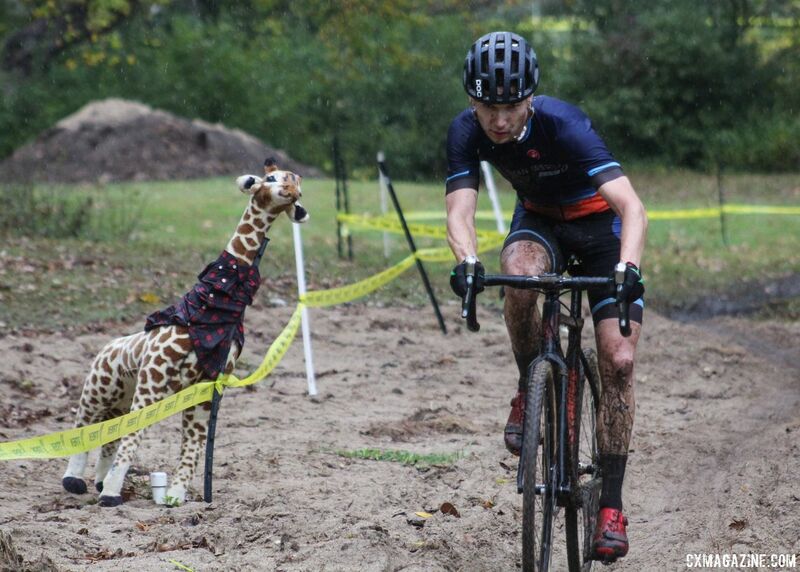 Here in my home state of Wisconsin, local race organizers are doing their part to knock down barriers for the ’cross curious. I reached out to them to learn more about their experiences of offering reduced entry fees for first-time racers this season. 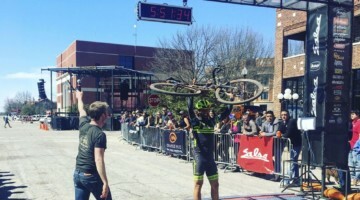 Nathan Phelps is the driver behind the new “Hinterlands Series” in Northern Wisconsin and Andrew Aaron was the race director of the recent GP Jo Van Deraffe in Milwaukee. 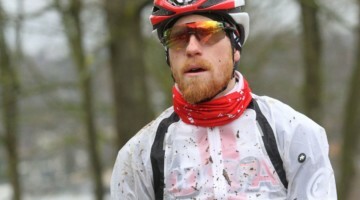 Both Phelps and Aaron developed reduced entry fee offers to encourage folks to give cyclocross a try. Similar to the CrossFit box example, they chose the races as the preferred venue for encouraging participation. Phelps’ Hinterlands series offered free entry to up to four first-time racers per race, preferably two women, one Junior and one man. With five races in the series, that is up to 20 free first-time participants. Phelps said the goal of the entire series was to increase exposure to cyclocross and the free first-timer entry as part of that. 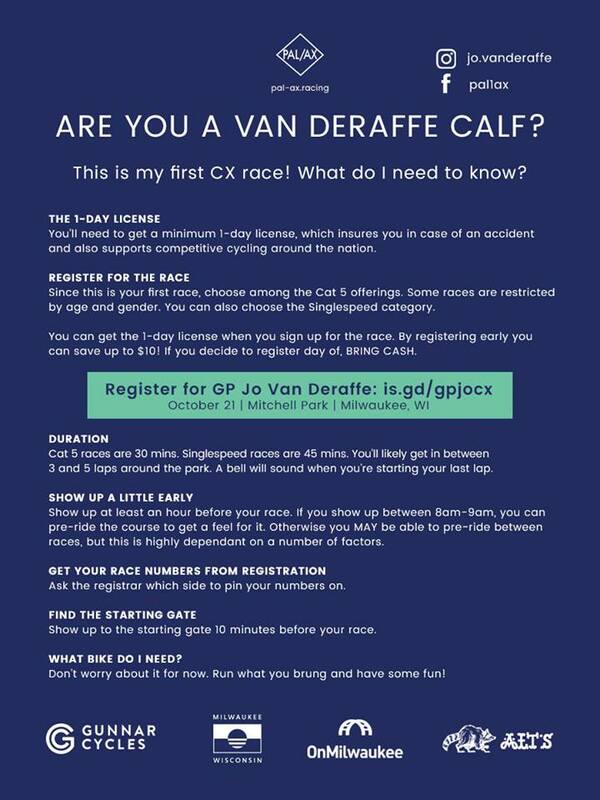 Aaron also offered a first-timer special at his GP Jo Van Deraffe race. 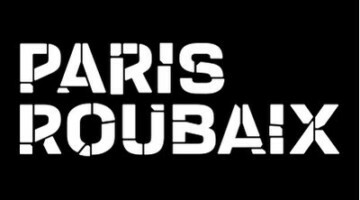 His event provided free entry for first-time women/trans/femme racers and a reduced entry for men trying the sport for the first time. He said the goal was two-fold. 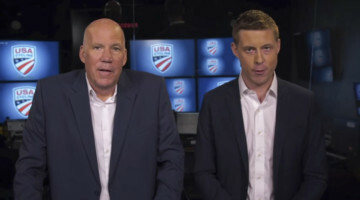 “Facilitating growth in the sport was our main goal in offering ‘free’ racing for first-timers,” he said. Did the free first-timer offers have any takers? Phelps said six people have taken advantage of the offer during the first three races of the Hinterlands series. Aaron said he ended up having 11 one-day licenses purchased at his race. And anecdotally, at least one Junior and one woman chose to race at my team’s Cross Fire race solely because of the $5 first-timer entry fee we offered. We also offered an intro clinic before the day’s races that one Junior took advantage of and another Cat 5 rider asked if he could participate in. Offering discounted or free entries is not without its costs for race promoters, which are usually local teams with limited resources. USA Cycling charges a certain amount per rider and local race associations may also do so. If some of the first-timers were going to race anyway, there can be a non-trivial amount of lost revenue for host teams. For Phelps, the short term costs are worth it. 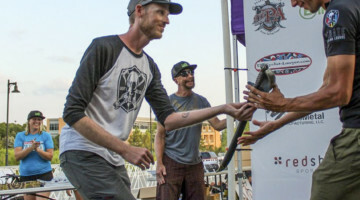 “It may take a little off the promoters’ bottom lines in the short term, but hopefully sparks a long-term growth and stabilization of the rider pool in the state.” Aaron agreed and said his team actually absorbed the fees for first-time racers because he viewed participation as more important than any lost race revenue. Another challenge with offering discounts for first-time racers is how to know if a rider is, in fact, a first-timer. 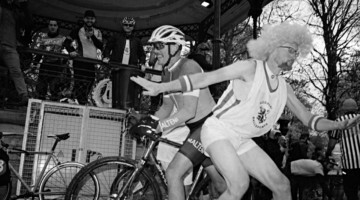 With different teams hosting each race, a rider could take advantage of the discount at several races. The Hinterlands Series did day-of registration for first-timers. This means instead of lying to the USA Cycling website, a potential first-time bandit would have to sell their story to real people. Phelps does not see abuse of the system as a problem. 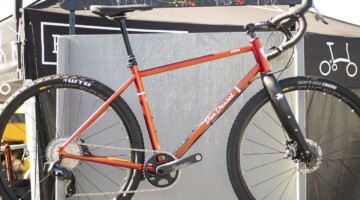 A third challenge is figuring out who might be interested in trying cyclocross. Team and series social media outlets are likely followed by “the choir,” and so creativity and networking are probably required. For Phelps, doing so was a challenge, because the “Hinterlands” are populated with cities ranging in population from about 40,000 to 100,000. 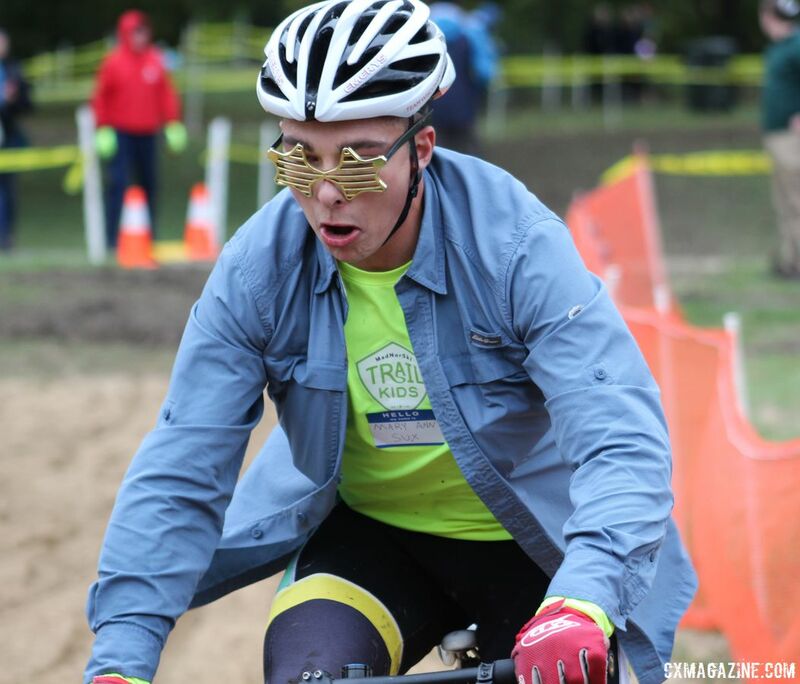 Aaron and his Palomino American Cyclocross team leveraged their social media presence and personal networks to promote their event. 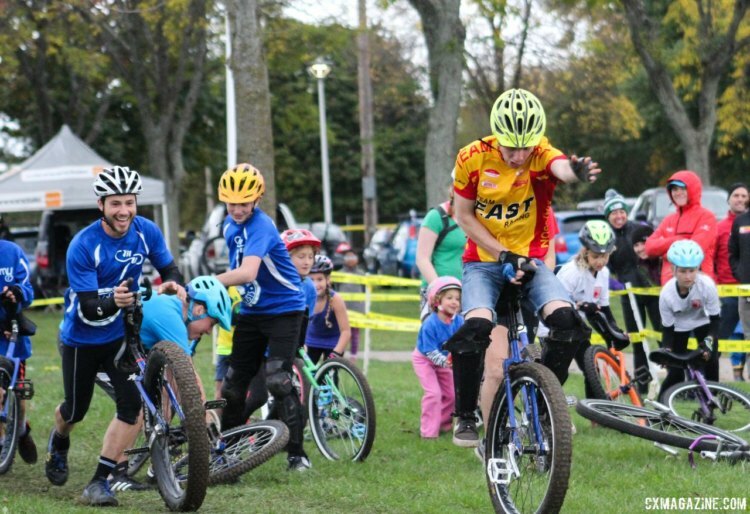 They benefitted from the popularity of the event’s namesake Jo Van Deraffe, but they also sought out communities who would likely be interested in cyclocross. 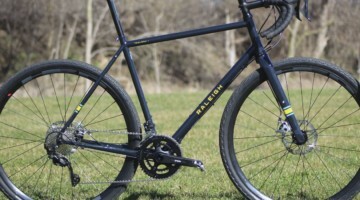 “We reached out to other cycling disciplines in an effort to recruit mountain bikers, triathletes, crossfitters, bicycle couriers and commuters,” said Aaron. The Palomino team also helped provide information for first-timers to help ease their way into the sport. 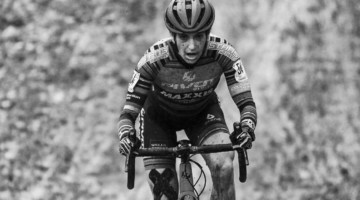 Despite their efforts, Aaron said there were still challenges associated with selling cyclocross racing to certain parts of the cycling community. 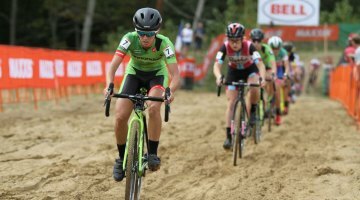 Wisconsin cyclocross is by no means unique in providing opportunities for the ’cross-curious to try out the sport, and hopefully, organizers across the county have found ways to encourage folks to try their hand at a cyclocross race. The example of the Hinterlands Series and GP Jo Van Deraffe in Wisconsin show the proactive role organizers can play in growing the sport, some ideas for doing so and challenges of bringing new faces into the sport via reduced entry fees for new riders. Well written article! Andrew Aaron really nailed a lot of the salient points. It definitely addressed some of the first timer concerns as well. It would be neat to hear from some first timers from those races as well. We do some spring races just south of you in Rockford and have had a ‘first timers’ race the last two years. 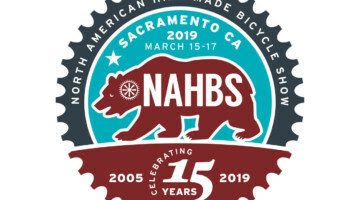 $15 all-in included race fee, Bikereg fee, and license. They do get kicked out if the win or do it three total times. I’ll keep this page bookmarked for when we get planning more over the next couple months. Cool stuff. 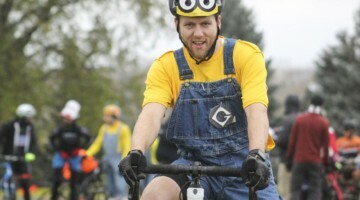 It is nice to see some race organizers taking on the challenge to keep and maybe increase numbers in bike racing. 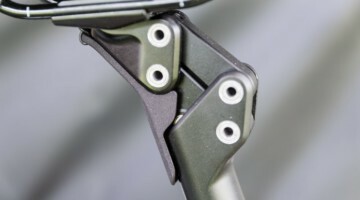 Many just complain to USAC or the local association.